What are Synchronized Breaks in Tournament Poker? - Casino Answers! Casino Answers » Poker » Tournaments » What are Synchronized Breaks in Tournament Poker? Whether it’s at a live casino or an online casino, tournaments can take a long time to play. The human body has things that it needs to do and the length of these tournaments can be hell on it. Single table tournaments will usually last over an hour, and multi table tournaments can go on for numerous hours. Breaks are needed and necessary, so how do poker rooms handle it? Due to this, online poker rooms have implemented an obvious system where the tournament takes a break for a set period of time, to allow players to get any refreshments or go to the washroom or take a cigarette break. They don’t really care what you do with your time as long as people are back in their seats when the tournament resumes. However, this can be a problem in online poker, as players often multi-table tournaments. The standard in online poker tournaments is usually that a 5 minute break will begin exactly one hour after a tournament has begun. However if you are multi-tabling tournaments this can be a problem. If one tournament starts at 7pm and another starts at 7:30pm for example, then you’re not going to be able to take a break from both online poker tournaments at the same time, and are ultimately going to miss a few hands during your next bathroom break. That’s how online poker rooms came up with the idea of synchronized poker tournament breaks, which is in place at online poker rooms like Full Tilt Poker and is really cool if you like to play more than one online poker table tournament at once. At 55 minutes past the hour, a synchronized break will take place. This means that every tournament currently being played will go on break. The breaks can take longer than 5 minutes – the break won’t actually start until every running tournament has finished their last hand. At that point, the 5 minute break will return. So that is how synchronized breaks work in online poker. If you like to play more than one poker tournament at once, head on over to Full Tilt Poker. 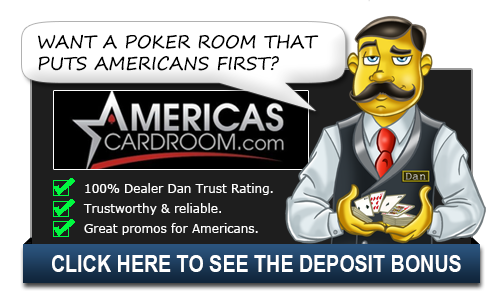 This is an outstanding system and allows you to not miss any hands at any tables for a break. You could play five tournaments at once and not miss a single hand of the action. This type of play can take a long time to get done and synchronized breaks are absolutely key for players who want to play as many tournaments as possible at once. So if there is more than one tournament you want to play, have no fear about entering them at the same time. Your break will be timed accordingly.